Available for HTC Touch HD/HD2,Touch Pro/Pro2 and Touch Diamond/Diamond2. Also compatible with Samsung i8000 Omnia2, i900 Player Addict, B7610 (Louvre) and Acer F1 (newTouch S200). 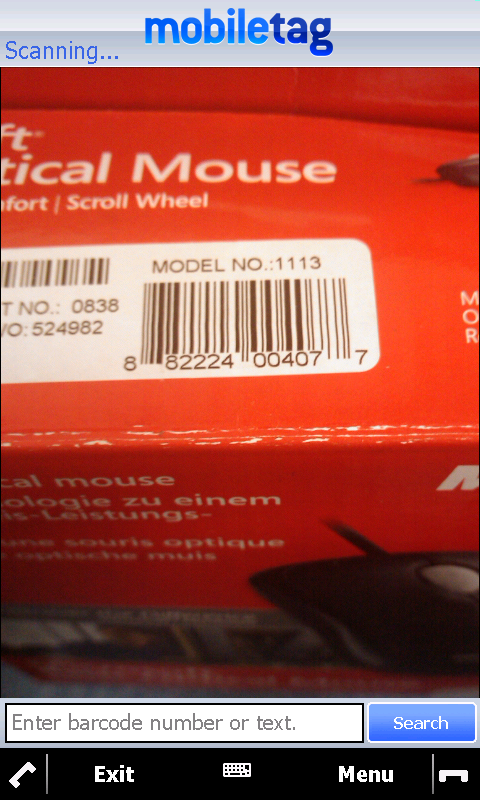 Mobiletag barcode reader is an application for Windows Mobile devices, allowing you to read any type of standard barcodes (datamatrix, flashcode, fotokody, QR Codes, 1D UPC, EAN 13). 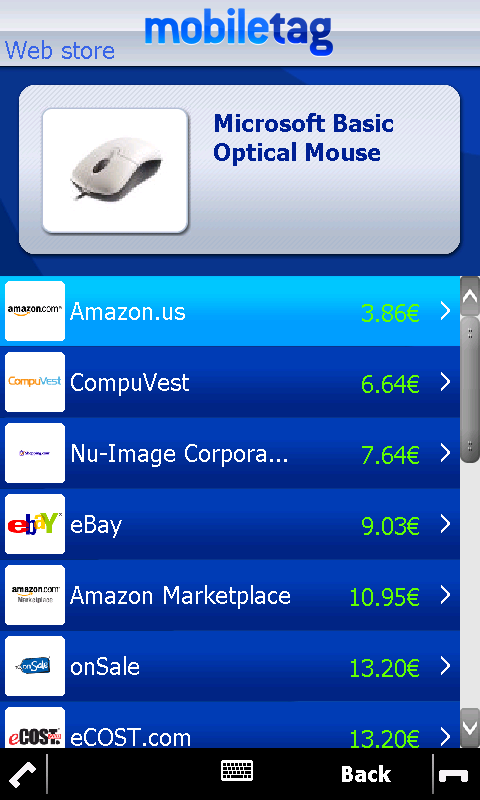 Thanks to Mobiletag�s universal reader you�ll be able to: -	Scan & compare product prices in order to find the best offers for DVDs, books, video games, high-tech products. And many more references coming up every day. -	Quick access to your favorite web content (videos, pictures, news, MP3s . 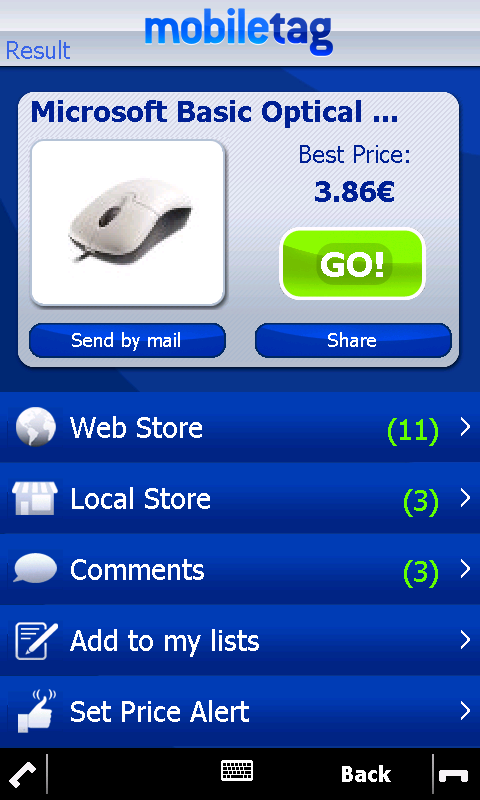 . .) and mobile functions such as Vcard and text messages. To use it, just open the application and start experiencing mobile web content without having to type anything at all. Just use your device�s camera. Languages: French, English, Italian, German, Spanish, Polish and Russian languages. dont download shity app actually not working properly..
Das selbe Problem. Ist lange auf den HD2 gelaufen.Nun keine Verbindung mehr. Lösung?